Actually just the following comment, which has nothing to do with this photo. Because I am having a brain fart moment, I actually had to google how to correctly spell Goodbye. Was it one word or two words? I did have it spelt correctly, but just in case any of the Word Police were reading, I wanted to have it right. But then it lead me to thinking: why is Goodbye one word, and yet Good Morning is two words? 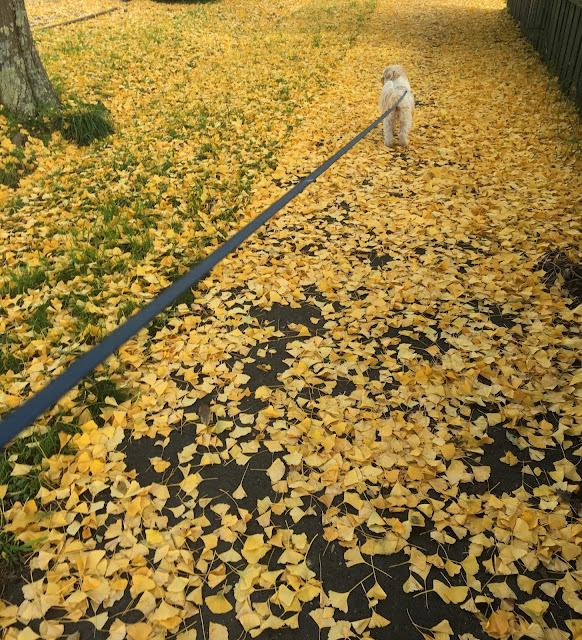 What a pretty picture with a carpet of leaves from the beautiful Ginko tree. The leaves have been blown off the top of my tree, but still golden below where it's more sheltered. I love Ginko's, they have amazing branches for the grandkids to climb.